According to a story from Bloomberg, energy supplier Deepwater Wind issued a proposal (one of many from other bids) for a new offshore renewable wind power plant near Massachusetts that would use Tesla’s commercial storage batteries, called Powerpacks, to store energy until it’s needed. 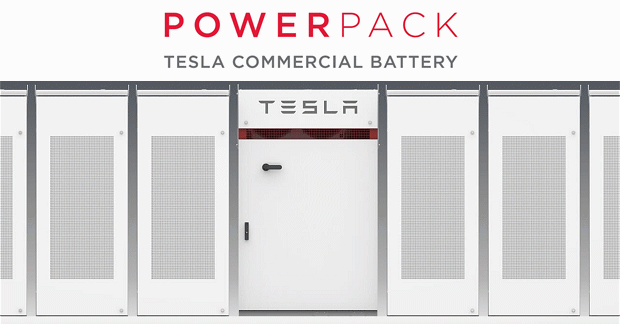 Their plan includes the construction of a production facility with 144-megawatt capability build off the coast with the Tesla Powerpacks storing wind-generated energy with a 40-megawatt storage capacity at peak production times, and hold it in reserve for peak demand hours. Deepwater has a history of offshore renewable power plants, as they’ve already built the first ever U.S. offshore wind farm near Rhode Island (ABOVE). 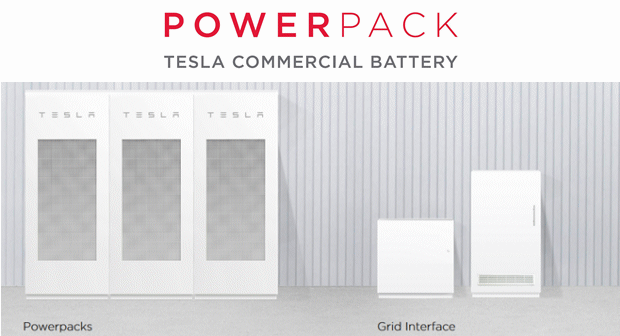 What’s interesting is that this proposal strategy is exactly how other Tesla Powerpack facilities operate, including their Kauai energy storage installation that opened earlier this year, which has a 52 MWh storage capacity. Just so you know, there’s a planned 100 KWh set for construction in Australia, as well. What’s great about this proposal, this utilization of an offshore renewable energy power plant is another example of how Tesla’s battery storage solution can create a wide range of power generation strategies and how they can be applied for a wide variety of projects.